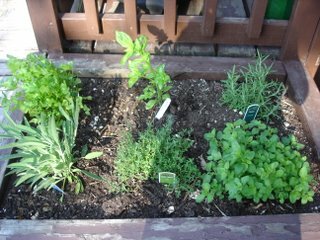 My herb garden is doing really well. 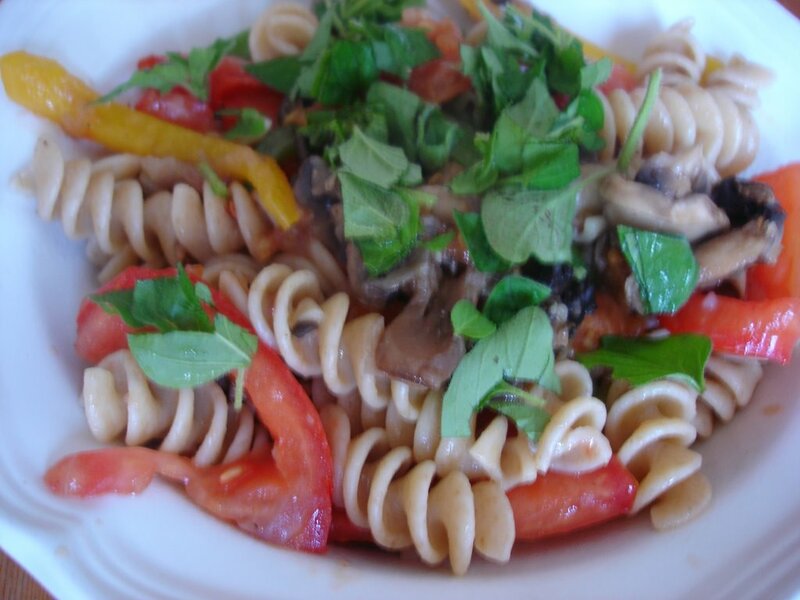 This week we have been enjoying fresh herbs on our pasta and pizza. 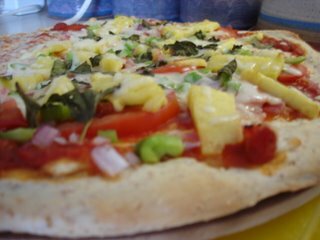 I put fresh oregano on the past primavera and fresh basil on the pizza. Yumma! Your herb garden looks great! Fresh makes all the difference - especially in a pasta dish. Yours looks really good. Mine is doing ok: the mint is spreading too much and too fast and is bothering the por sage. The parsley is growing again and so the basil. The chive has gone into flowers already and someone thought it was weed and took most of it off earlier in the season. The thyme is doing really bad and we will soon need another plant. the oregan is thin and looks a bit sick. Why is this relevant to you? It probably is not, but I hope you feel even better having a really nice herb garden. I think it is not so easy! Your herb garden looks healthy. I started one this year, all is doing well but the basil looks sad. I know here August is thebig basil harvest time so maybe I'll just have to wait it out and hope. The dish you used freah basil in tempts my tummy! delicious, delicious, delicious. No herb garden for me, so I'll live through yours..